Old Friends become New Friends Wedding! 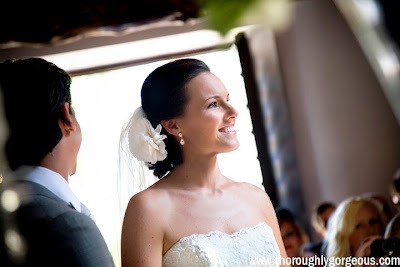 Well what can I say about this beautiful couple, Sue and Gunther, well actually I could say a lot! 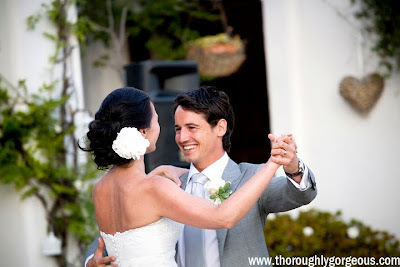 Sue loves chocolate and Gunther is a charming and by all accounts a good dancer! 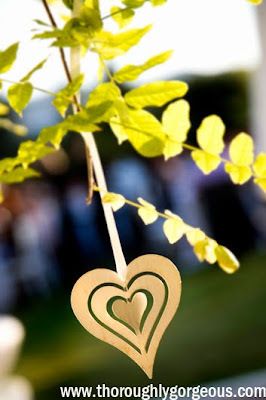 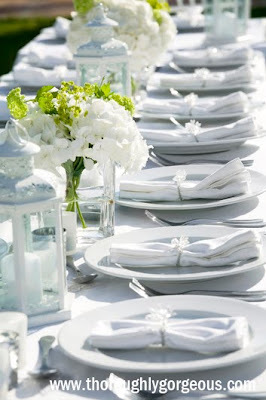 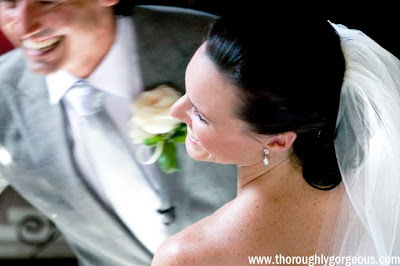 Sue already had most things planned out and was lucky to have her sister living here so life became much easier planning a wedding abroad, but she wanted a very simple and elegant fresh white and green slightly vintage style wedding. 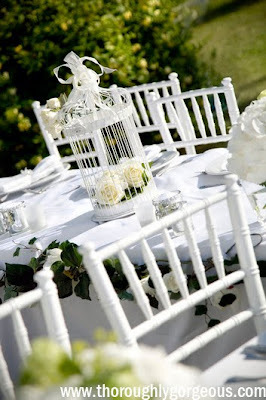 We used dreamy white hydrangeas mixed with fresh green viburnums and the effect was stunning along with Sue´s beautiful birdcages, hearts, napkins rings and candles it really was a beautiful table design and we loved it. 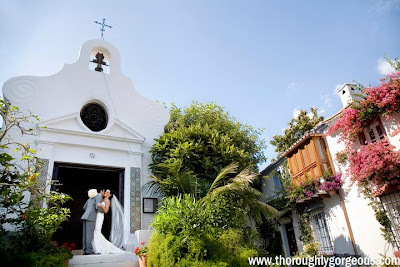 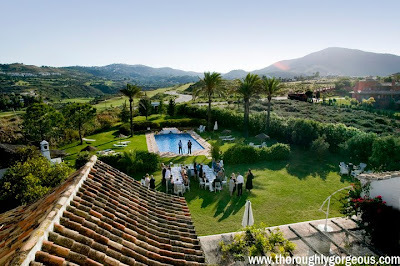 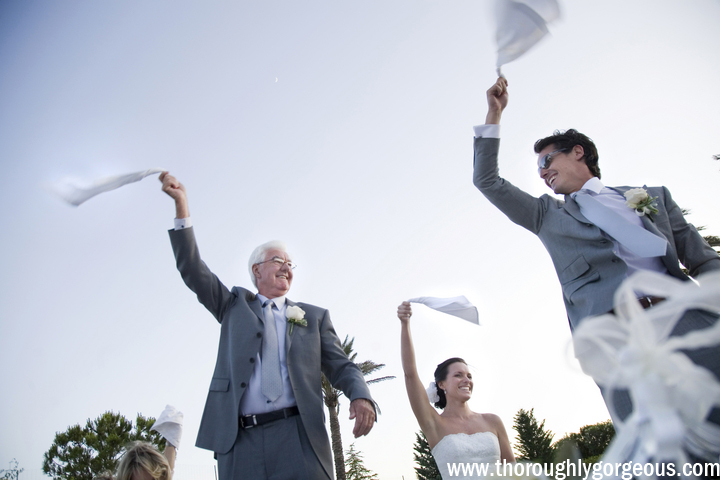 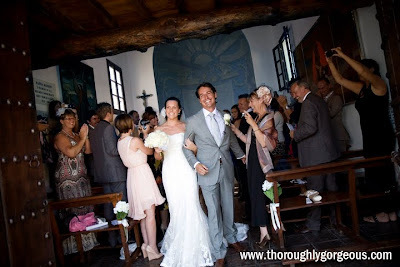 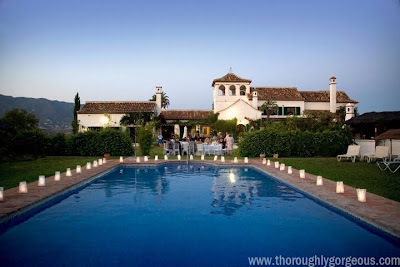 Sue and Gunther got married at the prettiest church, La Virginia, here in Marbella and had their reception at the Hacienda San Jose. 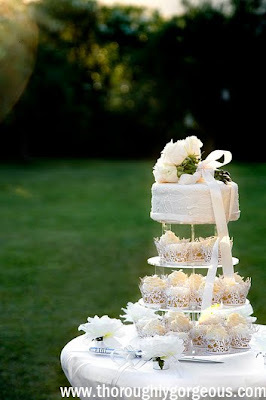 Our thanks to Talia at Thoroughly Gorgeous for these stunning photos of a beautiful couple and our thanks to Sue and Gunther for contacting us and becoming such good friends and of course reaquainting themselves with old friends, we look forward to seeing you both in September for a cocktail and chocolate 🙂 Fi if you want to replicate the cakes for September we would all be highly delighted!